We are all familiar with the roaring off-road vehicles that Jeep has produced over the years. 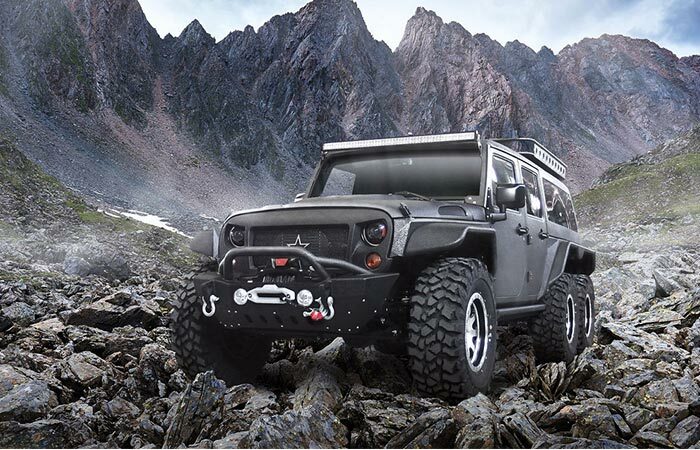 Well, Chinese manufacturer, G Patton, revealed their latest customized version of the Wrangler called the G Patton Tomahawk earlier this month at the Chengdu Motor Show. Based largely on the Wrangler Unlimited, the Tomahawk features a new rear section. The new rear section was created by removing the original section just after the C-pillar and then a truck bed was added. The rear end was augmented with a hard top and a large roof rack. 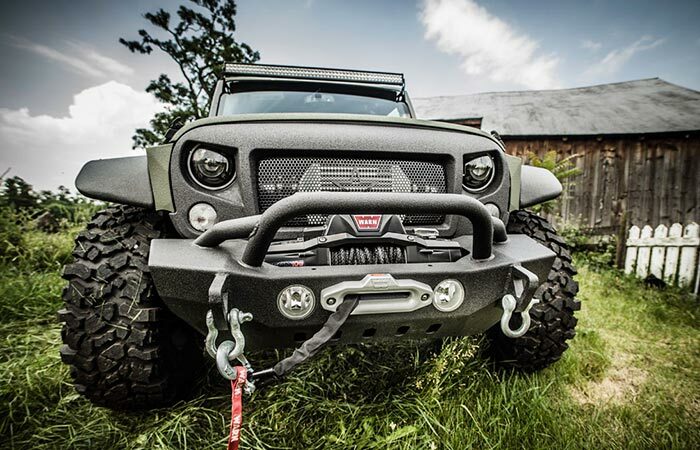 The grill and headlights have been customized to give it an angry look. The winch, on the other hand, can be controlled via remote. Furthermore, an extra axle was added, giving it that beastly 6×6 look. The entire exterior of the Tomahawk has also been customized to add to its look. For instance, the front grill has been changed to give the Tomahawk an angry face, which does fit the beast profile. 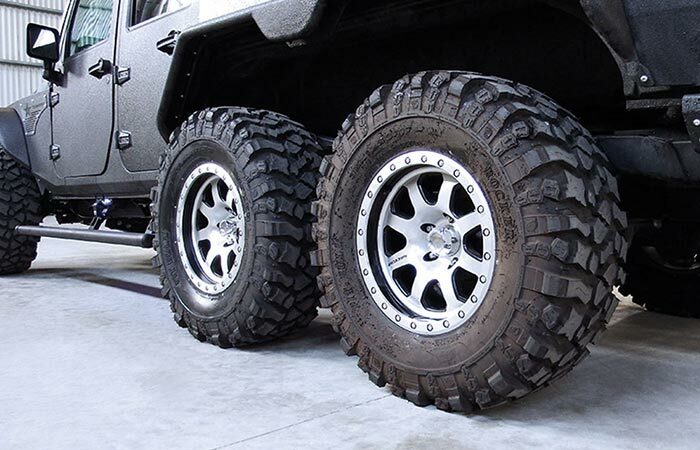 The Tomahawk features 17″ alloys with 35″ Mickey Thompson tires. The Tomahawk is also fitted with a Warn Zero 10S winch that can be controlled via a remote. The tires are 17” alloys with 35” Mickey Thompson tires. Essentially, this means that you can cross the most difficult of terrains with ease. 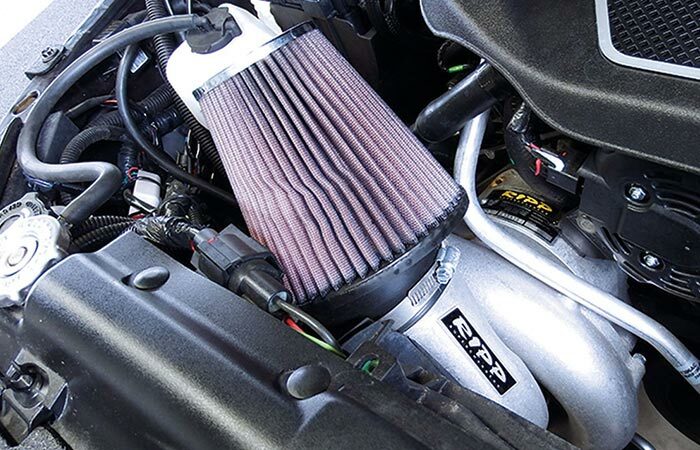 The Pentastar 3.6-liter V6 engine has been augmented with a RIPP Supercharger. As a 6×6, this bad boy needs power. To give it enough boost, G. Patton customized the Pentastar 3.6-liter V6 with a RIPP Supercharger. Unfortunately, they haven’t released all the specs as of yet. Needless to say, the Tomahawk does look pretty awesome.